The mission of the E-Learning Office is to partner with UPEI faculty members, foster a community of practice, and collaborate in the design, development, and delivery of outstanding experiential learning opportunities. E-Learning instructional designers are available for consultation for the development of new and existing blended, hybrid, or online courses. 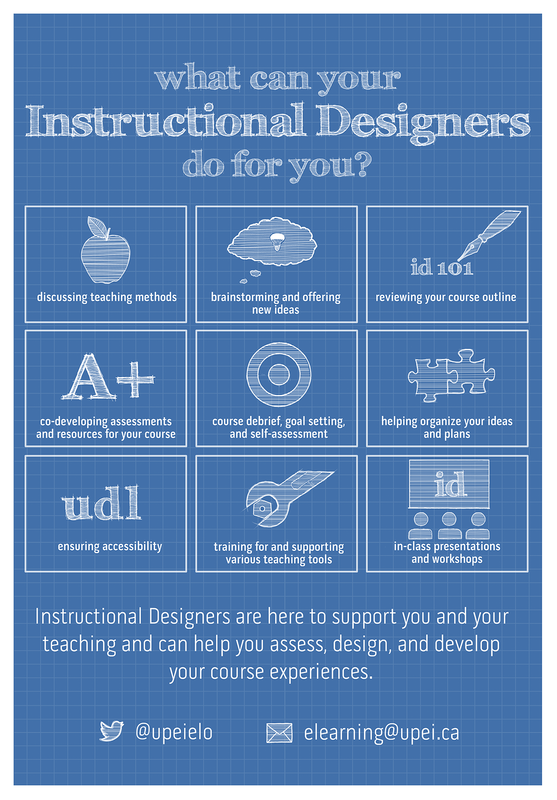 Instructional designers are able to discuss teaching methods, identify accessibility barrers, debrief courses, organize projects, suggest new ideas, provide support for teaching tools, review your course outlines, co-develop assessments, or facilitate workshops. Instructional designers offer one-on-one consultations, workshops, and can participate in larger meetings upon request. The instructional multimedia specialist is available to consult and collaborate on the design and development of multimedia resources for courses. 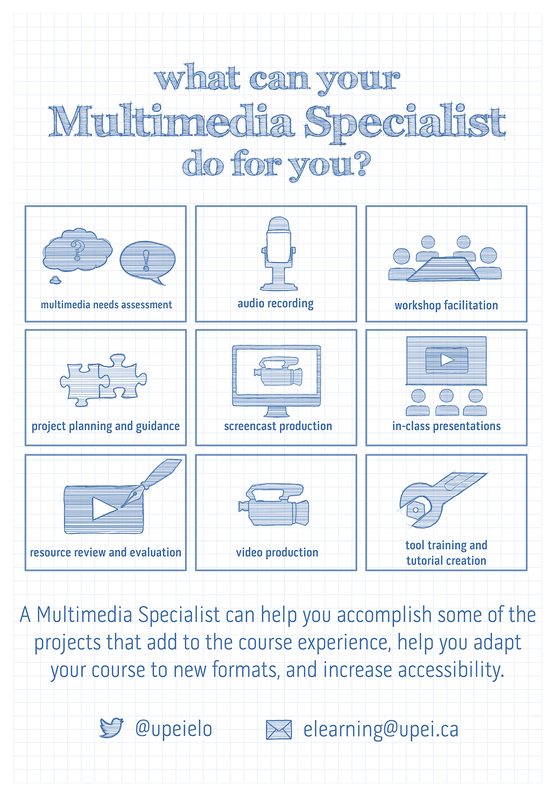 The multimedia specialist can assess your needs, project planning, review your resources, help you record audio, record screencaptures and videos; facilitate workshops, present in class, and provide training or create tutorials. The multimedia specialist provides workshops on various tools and hardware throughout the year. The E-Learning Office has aggregated a number of useful resources into a list for your convenience. The staff of the E-Learning Office are available to provide support for instructors with various teaching tools including the UPEI learning management system, Moodle.